The economically weaker section (EWS) admissions in the city might be delayed again this year with the UT education department yet to get clarity on percentage of seats to be reserved by private schools under land allotment scheme and under the Right to Education Act. Department had last week claimed that the issue will be clarified that week but even as submission came to an end on Monday, the situation remained the same as it was in December last year. With no clarity from the estate office so far on the percentage of seats to be reserved by the private schools under EWS, and the description of nominal fees, the admissions under the EWS quota is likely to suffer further as dates are expected to be extended further if things are not clarified within a week. This issue has been hanging fire from the past seven years. On December 5, the education secretary, UT Chandigarh, B L Sharma and Independent Schools Association held a meeting with assistant estate officer Amit Talwar to seek clarity on percentage of seats to be reserved by private minority and non-minority schools in Chandigarh under the land allotment scheme. However, they could arrive to no conclusion. Thereafter, the education department had written to the estate office asking them to clarify on the percentage of seats. Under Right to Education Act, schools have to reserve 25% seats for EWS students. This 25% is inclusive of seats to be reserved under land allotment scheme. 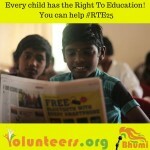 For seats under RTE Act, the education department pays the reimbursement. However, no reimbursement is given for seats reserved under land allotment scheme. On the other hand private schools have closed the form submission on Monday. As per the data gathered by the UT education department in the academic year 2018-19, private schools will be offering 710 seats to students from economically weaker section under Right to Education Act in 49 schools. The notifications served to the schools under Law of Land 1996, 2001 and 2005 states that the schools have to reserve some percentage of seats for the economically weaker section and disadvantaged groups. The percentage differs for different schools. But in December 2016, the education department fixed it at 15% for all private schools, which did not go down well with the schools. The UT estate office has asked the director of public instructions to form teams to inspect the 27 schools found violating the Right to Education Act criteria related to the economically weaker section. Sources said the estate office has passed the interim orders on the show-cause notices to the schools, which had been asked to submit details of admissions to students under the economically weaker section (EWS), along with supporting documents. Sub-divisional magistrate (SDM) (central) and assistant estate officer, Prince Dhawan, confirmed the move. The order, which sources said was issued last week, has asked the committees formed by the director of public instructions (DPI) (schools) to inspect the schools under the supervision of their respective SDMs and check records and conduct a physical verification as well. The committees have been asked to look into the “total enrolment in the EWS category, along with proof of each child admitted, from the date of allotment to the present date, keeping in view the RTE Act and DPI guidelines. The schools have been asked to provide information through affidavits and, in case of the minority institutions, present the essential certificates as well. Sources said the order has also asked the committees to look into the total number of seats in schools and reason how the number had been recorded, and also check the documental proof. The committees will also scour records about the total current enrolment in schools, along with the relevant tuition fee. As earlier reported by HT, the decisions, reflected in the order, were taken during the last hearing of the EWS case on October 15. The DPI (schools), however, said he was yet to receive any such order from the estate office. Some of the schools under scanner for the RTE violations were issued notices under rule 20 of the Chandigarh Lease Hold of Sites and Building Rule, 1973, which pertains to the violation of the ‘allotment of land to educational institutions on lease hold basis in Chandigarh scheme, 1996 (further amended in 2001)’. Some of the schools served notices are: Shishu Niketan Model Senior Secondary School, Sector 22; Shishu Niketan Model School, Sector 8; Strawberry Field School, Sector 26;Ashiana Educational Society, Sector 9; Kids-R-Kids International Educational Trust, Sector 42; Stepping Stones School, Sector 38; St Xavier’s Education Trust; St Kabir Public School, Sector 26; Ryan International School, Sector 49; DAV Public School, Sector 8; Bhartiya Vidya Bhawan, Sector 27, and Ajit Karam Singh International Public School, Sector 45. The Chandigarh education department has geared up to strictly monitor the nursery admission process of the private schools to ensure that 25% seats are offered to the students from economically weaker society (EWS) in accordance with the Right to Education (RTE) Act this time. A few schools have already released admission forms and others are all set to display the information related to admissions on Monday. Talking to HT on Saturday, DPI (schools) Rubinderjit Singh Brar said the schools not admitting students as per the EWS quota would not be spared during entry-level admissions. Strict action would be taken, he said. Considering the submissions by various schools before the assistant estate officer two months ago that that they did not find EWS children at the time of admissions, Brar said each of them would be closely looked into for the 2016-17 admission procedure. Confirming the same, the DPI also shared that the department would issue fresh guidelines to the local private schools in this regard. Meanwhile, a total of 18 schools have received minority status, and the case of three more schools is under consideration including Vivek High School, Sector 38; St Stephen’s, Sector 45, and Sri Guru Harkrishan Senior Secondary Public School, Sector 40. Of these, nearly seven schools sought minority status after the directions were issued that minority schools are not bound to admit 25% students from economically weaker section under the RTE Act. The Supreme Court in 2014 had ruled that the unaided minority schools cannot be mandated under the Right to Education (RTE) to reserve 25% seats for the EWS students. Commenting on the same, deputy director, school education, Chanchal Singh said the schools who claim they are minority are still bound to admit students under EWS quota as per the land allotment scheme, which officials will keep a tab on during the admission procedure. “Therefore, institutions like Vivek High School whose case is still pending with the minority commission cannot do away with admitting children under the EWS category,” he added. The name of any such school found violating the norms would be forwarded to the estate office which has already issued notice to 27 schools for not admitting children under the EWS quota. Meanwhile, the department would also start the reimbursement process to private schools for expenditure incurred while filling seats under the EWS. Confirming the same, DPI said it would take a month but the process will be initiated parallel to the admissions. The per child expenditure governed by the state and the per child expenditure governed by the school, whichever is lesser will be reimbursed as per Section 12 (1) (c) of the RTE,” confirmed a senior official of the education department. Chandigarh: With hurdles like non-availability of birth certificates and identification documents, a number of children from economically weaker sections of the society are either unable to reach schools or discouraged from doing so despite seats reserved for them under Right to Education. A group of students from Panjab University (PU) has taken the initiative to ensure that more of them join schools and stay on and study too. Two groups of students from PU’s Centre for Social Work have so far managed to get 64 students from Dhanas and Kajheri admitted to schools in nearby areas. While the group in Kajheri has been working from mid-February and has facilitated admission of 51 students, the group in Dhanas started working in April and has admitted 13 students so far. 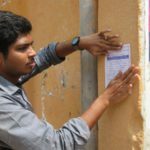 The ‘Education Forever’ project undertaken by these eight students is an attempt to go beyond the prescribed curriculum and set patterns of field work in their area of study. Taking it a step further, the students have also identified a couple of children in need of medical help and have started seeking professional advice for them. Chandigarh: Following complaints from some parents that Delhi Public School (DPS), Sector 40, was allegedly conducting separate classes in the evening for the Economically Weaker Section (EWS) students and with different teachers, the Chandigarh Commission for Protection of Child Rights has asked for an explanation from the school principal. Parents of around 15 children who are enrolled in the evening session on the school campus had submitted a complaint to the chairperson of the Child Rights Commission, Professor Devi Sirohi. In their complaint, the parents had further claimed that the school was violating the Right to Education Act (RTE) by charging Rs 75 per month from the EWS students, whereas no fee was to be charged. According to the complaint, the school was allegedly also charging for the school uniform and books. The principal will have to give a written explanation on the date of hearing scheduled for April 30.